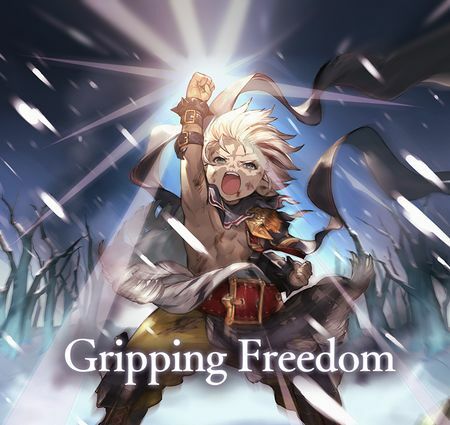 Gripping Freedom is a side story that became available on December 12th, 2018. It is unlocked after clearing Chapter 73 Story - Orchis and Orchid and Footprints on Sacred Ground. This specific event's plot is also continued in Poacher's Day. 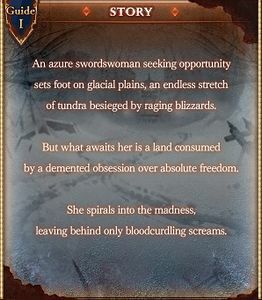 An azure swordswoman seeking opportunity sets foot on glacial plains, an endless stretch of tundra besieged by raging blizzards. But what awaits her is a land consumed by a demented obsession over absolute freedom. She spirals into the madness, leaving behind only bloodcurdling screams. 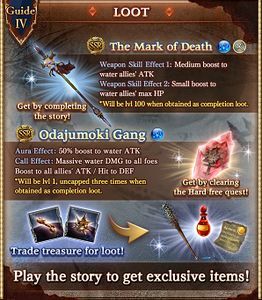 Spiked Baseball Bat is a notable SR weapon to keep from this event. 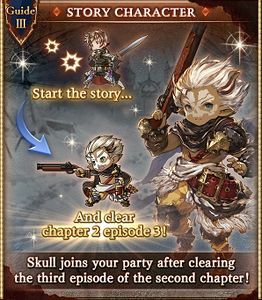 The Sword Master class can use this weapon to deal plain damage with Awakening Blade. This is useful for farming stage Hard 2-1 in Co-op (a.k.a "slime blasting"). 12-hit Water damage to random allies. Casts Vajra on the first turn. Casts Misshaku on the first turn. 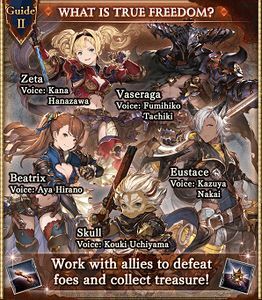 Party: Main Character and Guests Eustace, Beatrix, and Skull.